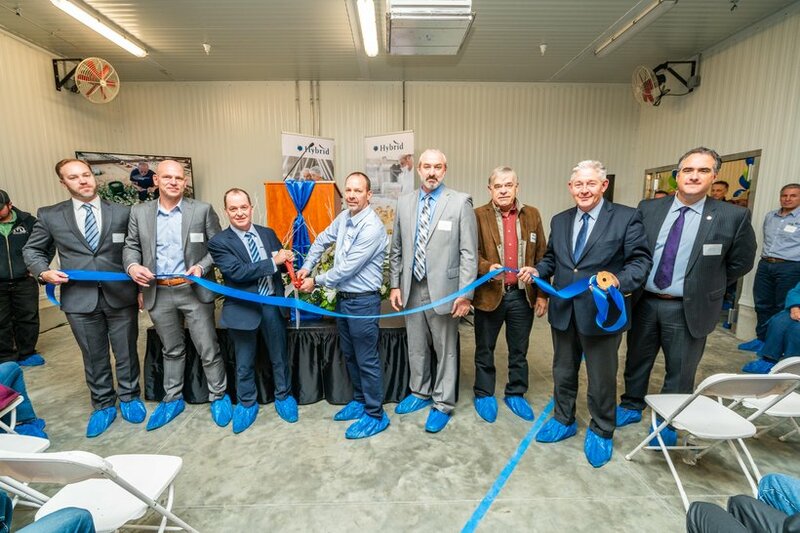 Over 400 people, including representatives of the turkey industry, local community members, and government officials, gathered to celebrate and tour the new Hendrix Genetics commercial turkey hatchery in Beresford, SD. 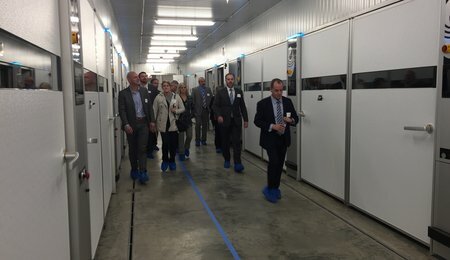 This new facility will hatch poults (baby turkeys) for commercial farmers throughout the Midwest. 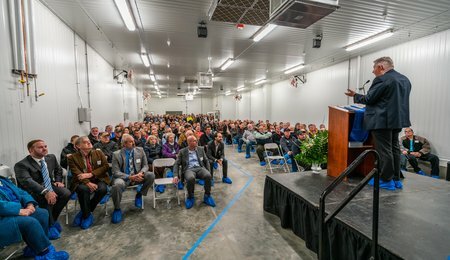 This event was a rare opportunity to see inside a facility like this, as once in production, biosecurity policies will be in effect to support the high-health requirements of the Hendrix Genetics Turkey operations. A few of these policies were evident and experienced first-hand. Upon entry, all attendees were asked to sanitize their hands and wear special protective covers over their shoes to prevent the entry of contaminants from the outside. The hatchery represents one of the largest pieces for a project initiated in 2017. At this time, Hendrix Genetics announced they would establish their own turkey poult distribution network in the USA. The objective: to ensure top quality and availability of Hybrid Turkeys products throughout the turkey value chain. 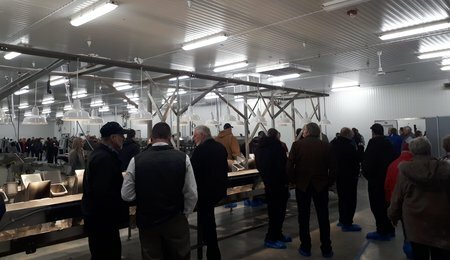 This investment, estimated at approximately $70 million, includes new and updated breeding farms, two new hatcheries, and a new transportation fleet. Jeff McDowell, General Manager, kicked off the speeches by highlighting the timeline of just over 1 year to complete the hatchery project. I am very proud of what we accomplished in such a short amount of time. This wouldn’t have been possible with out the ongoing support of our customers and the local community. This, of course, is in addition to the hard work and dedication of our staff and partners throughout this project. 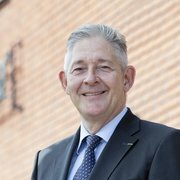 Raf Beeren, Managing Director, spoke to the company’s focus on quality and the importance of a primary breeder and distributor to lead the way in this area. The modern technology and leading biosecurity measures that we have in place at the beginning of the supply chain will ensure the successful delivery of top quality and nutritious protein to the final consumer. 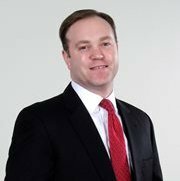 Aaron Scheibe spoke to the broader impact and investment by Hendrix Genetics and how South Dakota was a good fit due to the commitment and presence of Agriculture in the state. He also highlighted the farms built in the area to supply this hatchery. The economic impact will reach far beyond South Dakota—even beyond the United States. The poults produced here in South Dakota will have a worldwide impact, and that’s something I think we can all be proud of. 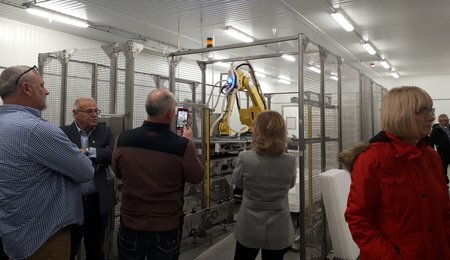 Mayor Nathan Anderson spoke about the skilled, and dedicated workforce of the hatchery and the fit of Hendrix Genetics within the local community. I have witnessed a number of members of Hybrid Turkeys attending events and engaging in discussions. They are working their way into the fabric of our community. It has been fun. It is exciting to witness this. Bob Drake, President of the South Dakota Poultry Industry Association spoke briefly of the Presidential turkeys that came from South Dakota earlier in the month, gave a few facts on turkey production in the state and finished with a warm welcome to the team at Hendrix Genetics. 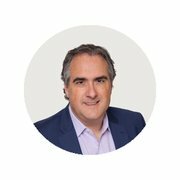 The speaker that stood out for many, however, was the President of Hendrix Genetics, Mr. Thijs Hendrix. Mr. Hendrix shared a heartfelt story about his family’s personal connection to the state of South Dakota and an expression of his personal motto to “Embrace the past, to catch the future”. In 1944, 52 US soldiers gave their lives for the freedom of our little town in the Netherlands, which now inhabits approximately 3,000 people. One of these soldiers was Garry H. Graff, from Rutland (SD), 50 miles north of here. I want to remember him here with a moment of silence. Thijs went on to highlight the importance of the US market and the significant investment that Hendrix Genetics is making across many species in their portfolio, including turkeys. We are building up the teams and looking forward to working together with many of you to serve this great turkey industry here in the United States. 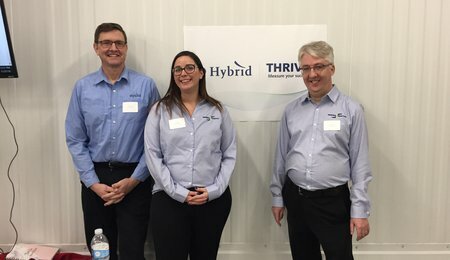 Hybrid Turkeys is the leading genetic brand of turkeys, within Hendrix Genetics, with breeding and distribution activities around the world. 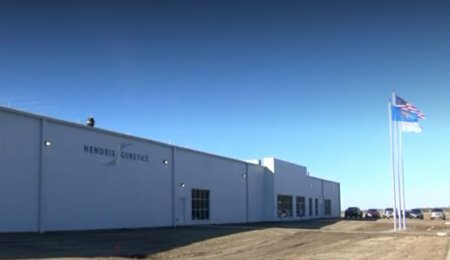 Based in Boxmeer, the Netherlands, and privately held, Hendrix Genetics has operations in 25 countries around the world with activities in layers, turkeys, swine, traditional poultry and aquaculture breeding.